Give your on-site commercial laundry facility an upgrade with our commercial laundry machines for sale in Orlando. You can streamline your facility with high quality matching machines that your patrons will love. We can assist you in setting-up your facility with new laundry equipment by explaining the difference between machine models, so that you can select the type of machines that will best serve your business. Why Buy Commercial Laundry Equipment from Us? You can purchase commercial laundry machines in Orlando from Commercial Laundries, that will be a real asset to your business. Our laundry products are built by word famous manufacturers who know the meaning of research and development because they have been doing it for over 100 years. Our commercial laundry machines for sale in Orlando are Energy Star certified to assure that you are receiving cost-effective savings on water, gas and electric costs, plus, also conserving precious natural resources. All of our laundry products are built with: solid construction, metal components instead of plastic, chip resistant cabinets, and some models have reversible doors for easy installation. Your patrons will love our easy to use digital display dashboards that offer multiple cycle options, dispenser trays, and water temperature selections. Our washers are equipped with stainless steel or porcelain enamel washtubs to ensure that laundry is not damaged during the wash cycle. Plus, all washers have advanced agitation and extraction features that deliver a cleaner laundry with less residual moisture; requiring less dryer time. Our dryers feature high efficiency blower systems that deliver a quick drying time, and they are built with galvanized steel cylinders for endurance and sustainability. You can also purchase commercial laundry machines in Orlando that are ADA compliant to meet the needs of the handicapped community. Commercial Laundries is a family owned business in Florida since 1967, and a leader in the commercial laundry sector, serving thousands of laundry facilities across the state. Our goal is to serve our clients with top quality commercial laundry equipment and services that support a successful laundry business venture. We are committed to serving our clients with the integrity, professionalism and excellence that they deserve. When you partner with us, you gain a dedicated team of professionals who can assist you in all your laundry equipment and service requirements. For those of you who are struggling with a tight budget, we have affordable options that include used laundry equipment and also our popular, tax deductible leasing program. We can customize a lease option for you that will meet your budget and business needs. Whether you rent or buy commercial laundry machines from us is your decision. 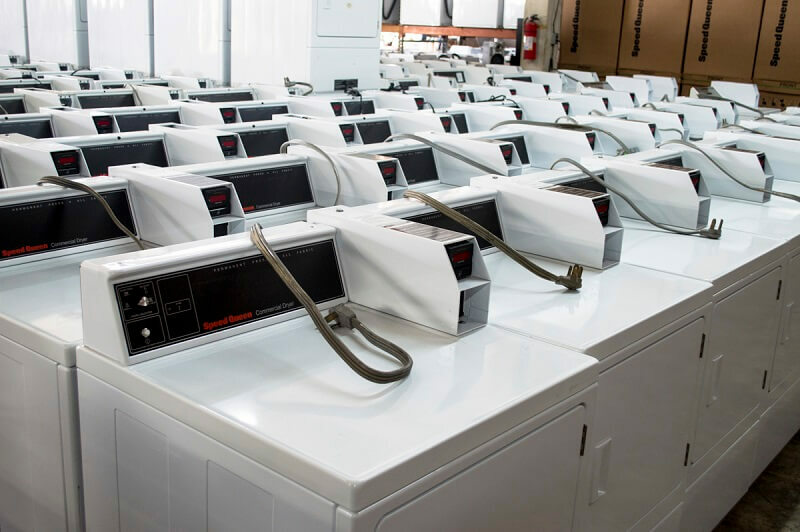 To purchase commercial laundry machines in Orlando, and learn more about what we have to offer, contact Commercial Laundries, Inc. today at 407-986-1410.